Kids Are Sending Less Time Playing Outdoors?!? Oh No! Troublingly, a new study has found that just about 50% of preschool age kids aren’t playing outdoors each day. Furthermore, the children in the study were found to be sedentary 80% of the time they are at preschool. So the problem is not just at home. For young children, exercise and play is interrelated. Being outdoors is more conducive to both. 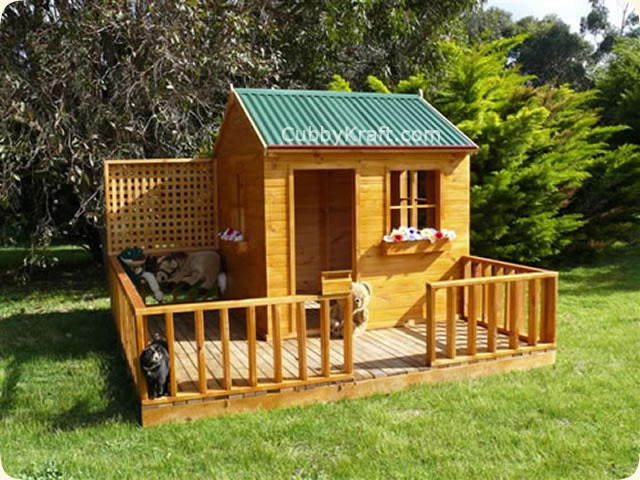 The Mulberry Cottage cubby house is a cubby with a large porch that wraps around the side, making a nice deck for outdoor play. The back part of the porch has a lattice privacy fence with a bench for sitting or placing your teddy bear friends on. Mulberry Cottage is an on ground, medium to large size cubby at 3000 x 3000. It has fencing all around the decking to help keep little ones in the play area. This is a great size cubby for a growing family’s needs. Read more about the Mulberry Cottage Cubby House here. The Spiderman Swing Set screams “Climb me!” to any kid that sees it. The many ways to climb up and down this set will have your children laughing and climbing just like the superhero, Spiderman. The side supports have three ‘legs’ like a tripod. The first has bars encasing the triangle, where kids can climb in and out of it. 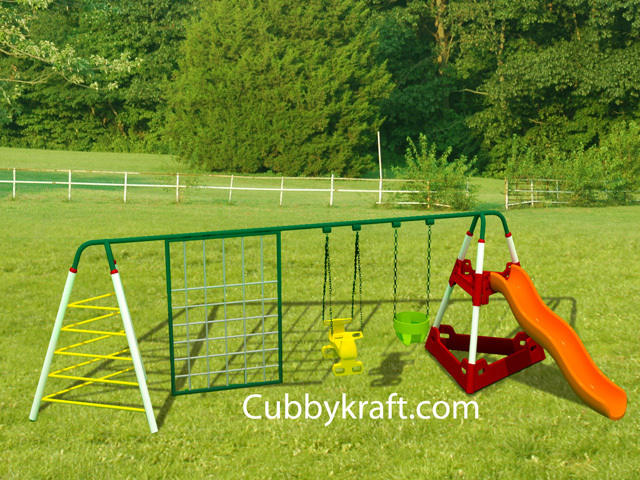 The, going from left to right, you have a netted wall climb, Back-to-Back swing, a Bucket Swing for infants and toddlers, and a slide with side climbing. Read more about the Spiderman Swing Set. Source: Archives of Pediatric and Adolescent Medicine.